Thinking of spending more time in Alaska? We have selected some travel suggestions to help you on your way. With boat, air, and road access Skagway and Haines are great starting points for further exploration of Southeast Alaska and the Yukon Territory. Stay local or use our transportation options as a starting point for travel throughout the region. There is plenty to see in our great state! You can learn more at Travel Alaska and about the communities of Haines, Skagway, Juneau, and Whitehorse. For more bike tour options consider daily cycling in Skagway or daily cycling in Haines. Wings of Alaska is the local airline for exploring Southeast Alaska with daily service from Juneau to Skagway, Haines, Gustavus, and Hoonah. For air service to other Alaskan communities you will need to book through Alaska Air Lines. Alaska Marine Highway Ferry System is a central mode of transportation in Southeast Alaska with daily summer service from Juneau to most southeastern communities and frequent service to Alaska's Central Coast and Bellingham, WA. 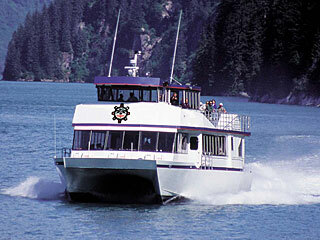 Haines-Skagway Fast Ferry - A privately owned high speed passenger ferry service between Haines and Skagway. Up to 6 crossings per day, 35 minutes each way. 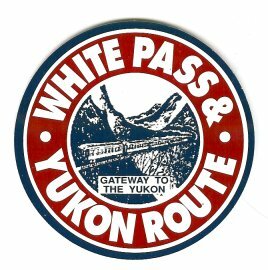 White Pass & Yukon Route provides transportation during the summer months to Whitehorse, YT via Carcross, YT with a bus connection. AVIS Rentals are located in both Skagway and Haines with vehicles for travel along the Haines or Klondike Highway. For more information about driving in Alaska and Canada visit The Milepost. The Mile Zero B&B takes its name from the Tlingit word Deishu, meaning the beginning or the end of the trail. At the Skagway Inn Bed and Breakfast Innkeepers Karl and Rosemary Klupar provide warm hospitality and invite you to enjoy their historic Victorian Inn. The Fort Seward B&B is Haines original B&B opened by the Smith family nearly 30 years ago. The Hotel Halsingland is Haines' vintage hotel. Located in Fort Seward, this Victorian hotel offers modern accommodations in historic surroundings. Dine at the elegant Commander's Room or at the Officer's Club Lounge. The Silverbow Inn located in downtown Juneau, is a boutique hotel that blends Juneau's unique history with contemporary amenties. Eat breakfast at the Silverbow Bakery and Restaurant and visit the hotel's cinema and art gallery.